Tuesday, September 3rd, 7pm Louise DeSalvo, author of five memoirs, will be facilitating a Memoir Book Group at Watchung Books every six weeks. The first meeting will be September 3 from 7 to 8:30 and we’ll be discussing Jo Ann Beard’s “The Boys of My Youth,” available at the bookstore. This group is for readers but also for writers who want to read excellent examples of the memoir form. You can contact me at louisedesalvo@comcast.net if you’d like. Jo Ann Beard achieved cult status among a whole generation of young writers with her essay collection The Boys of My Youth, which came out in 1999. Her avid fans had to wait a long time for the next book, In Zanesville, a novel, which was published in April, 2011. In the meantime, her essays were widely anthologized in collections like The Best American Essays and the Touchstone Anthology of Contemporary Creative Nonfiction: Work From 1970 to the Present (2007). 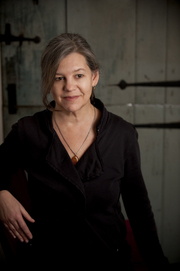 Her work has also appeared in The New Yorker, Tin House, The Iowa Review, and O, The Oprah Magazine. Beard was the recipient of a 1997 Whiting Foundation Award and a 2005 Guggenheim Fellowship. She earned a BFA and an MFA from the University of Iowa and currently teaches writing at Sarah Lawrence College. Jo Ann Beard is currently considered a "single author." If one or more works are by a distinct, homonymous authors, go ahead and split the author. Jo Ann Beard is composed of 1 name.